In an age where the resources of the Earth are fast depleting, sustainability in agriculture and gardening is no longer optional, but necessary. Organic fertilizers; the annual rotation of crops and plants; and smart irrigation technologies go a long way toward that end. Still, these positive actions are preventive. Those who seek to significantly improve the soil profile need to go on offense, so to speak. This means making soil richer in nutrients and organic matter so that it can foster healthy plants and lose little in the process. One manner of achieving this aim is vermicompost, i.e. worm composting. In brief, worm composting is the production of worm manure in order to increase the nutrient content and overall health of soil. Feeding worms nourishing food source scraps, which pass through the worm and exit out the tail end, causes their by-product to invigorate the soil and improve its overall quality. Crops and other plants require potassium, nitrogen and phosphorus to grow to maturity, in turn providing nutrients to those who consume them. Other beneficiary elements are calcium, sulfur and magnesium. Vermicompost increases the contents of these essential ingredients without harming soil in the long term, as chemical fertilizers do. This is suitable for on-farm worm composting on a large scale. In this case, cow manure is arranged in long rows a few feet high and a few feet wide. The rows can extend to a hundred feet or more. After populating the windrows with worms, new manure is appended on to the end of the row each day. This way, the worms continuously move in the direction of the freshest nutrients thereby spreading their nutritionally potent vermicompost throughout the windrow. Since worms can eat their own weight in organic material in a single day, they can move through the manure fairly quickly, depositing compost that is up to eight times denser in nutrients than the original organic matter they ate. This multiplying effect is perhaps the biggest benefit to worm composting. When the manure is later applied to crops, it is helps to produce larger and healthier yields. If space is limited, farmers can consider worm composting in large pits, utilizing depth instead of area. Important to remember, however, is that the pit must be lined with a material impermeable to worms. Otherwise they will find their way into the adjacent soil never to be seen again, thus ending the worm composting project. Many farmers choose canvass because this material lets moisture through without allowing the worms to exit. Once lined, the pit is filled with manure, clipped grass, sawdust, corn husks and other loose vegetation, and then topped with soil. After about seven days of aging and watering, the contents of the pit are ready for worms and the composting begins. As always, worm composting requires ample moisture so keeping the pit shaded from the hot sun is crucial. Because they are not continually replenished, as are windrows, vermicompost pits are productive for about eight weeks. Like windrows, troughs of cement are used to contain primarily manure for worm composting. After an initial layer of three inches or so of aged manure, worms are inserted and fresh dung is spread every 10 days until the trough is filled. Like pits, the productive life of vermicompost troughs is finite: it largely depends on the size of the trough. The worms, on the other hand, are recyclable, and can be extracted and transferred to another trough. Cement troughs can hold anywhere between 50 to 200 gallons. The good news is that they do not require any sort of lining, and can be covered to protect the compost from the sun. On or off the farm, bins are easy and modest receptacles for worm composting. 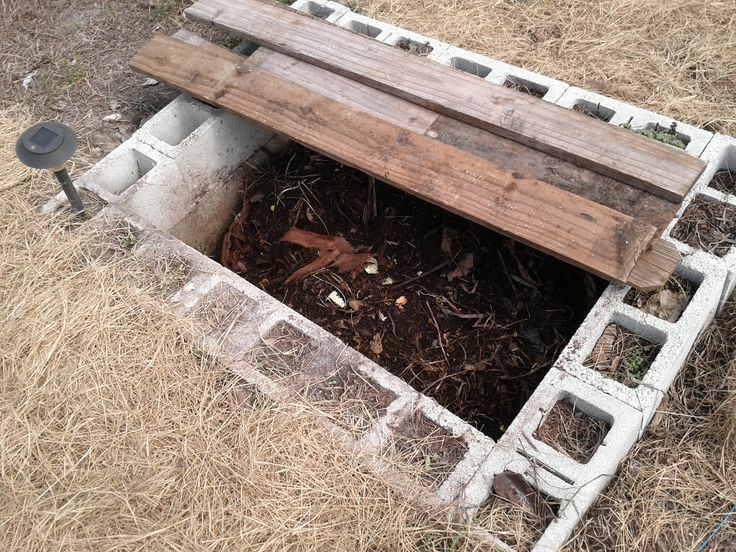 Made of either plastic or rough-hewn wood, the bin can contain paper, aged manure, dead leaves or grass, and some soil to serve as worm bedding. To this, the competent vermicomposter adds food scraps like fruit, vegetables, used tea leaves and coffee grounds. Some include egg shells for extra calcium. Meat and fat are not advised since they will emit a putrid odor when decaying. The bin filling should be kept moist and out of the sun, easy tasks when the bin is small. That said, too much moisture will cause the bin to likewise emit foul odors so proper drainage holes should be confirmed. If the bin is set in a garden or small yard, the composter should exercise caution that house pets and local wildlife can not get in and upset the process. What kinds of worms are best for vermicomposting? The consensus among seasoned practitioners is that the run of the mill earthworm is decidedly not among the best, nor are many primarily soil dwelling worms. The optimal species for this process are those that can be found among composting materials and decaying vegetation in the first place. The top two contenders are the Red Wigglers and the Redworms. Each of these thrives in compost matter and produces the most nutritious castings – i.e. waste product (that never goes to waste) – for growing plants. Although diligent searching may yield a few of these productive worms, it will hardly be sufficient. At least a thousand are necessary for a large bin, much less a windrow or pit. Fortunately, many farm supply stores, nurseries and garden centers sell them at reasonable cost. They are also available online. Worm composting is the creation of the most prolific natural fertilizers known to anyone with a green thumb. Best of all, the soil is strengthened, not weakened, by this very sustainable nitrifying process. If you have ideas or experiences related to worm composting, feel free to share them. 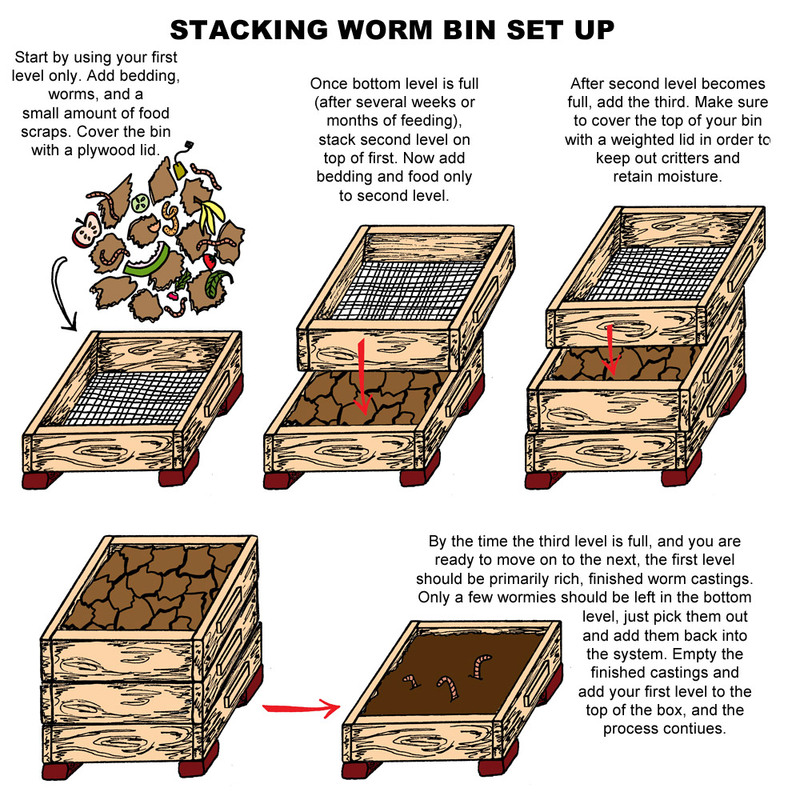 Hey Buddy!, I found this information for you: "Worm Composting 101: All You Need to Know". Here is the website link: https://backtofarm.com/worm-composting/. Thank you.